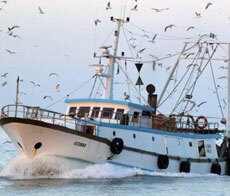 Cesenatico sea, traditions and fun: come and live with us and discover what can give this seaside town! 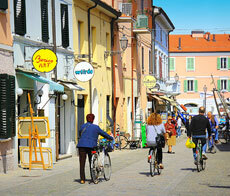 The central location of our Hotel allows you to reach, with a pleasant stroll, the historic center of Cesenatico. You can enjoy the taste of seafaring life that has been handed down for generations, admire the ancient craft of the Maritime Museum, buy local food. 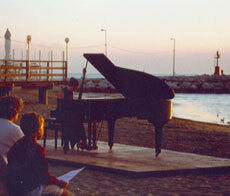 Cesenatico is not just sea and Sun, but also offers many opportunities to experience different times. Discover all the pleasures and opportunities that a vacation here with us can offer. Sea, sports, nature, leisure, culture and gastronomy are interwoven to make you live unforgettable moments during your stay. 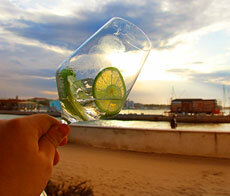 Discover places and traditions of life of Cesenatico, to live and enjoy, not to feel alone! 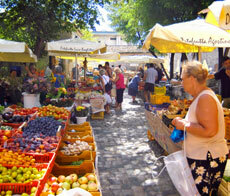 In Piazzetta delle Conserve, is the typical fruit and vegetable market set up every morning by the peasants of the area where you can find exclusively local and seasonal produce, for a snack at the beach or simple curiosity. In the morning you can admire the harbor channel, West side, fishermen who fall at the port, accompanied by a trail of gulls, and calling for download and sell what the sea gave him. A unique show! Among the narrow streets of the old town the local shops of handicrafts, away from large retailers but full of passion and care. Warm cookies, fresh fish, hand-printed fabrics is just a taste of what you can find. Along the quay of levante, between the colors of the sunset and the first breeze after the heat of the day you have to drink a cocktail flavored with mint and fruit. Your feet on the sand now remain in calm seas and warm heart! Throughout the summer, on the beach from 06.00 am to 08.00 a rich programme of live concerts in aid, while watching the sun rise, accompanied by the scent of doughnuts and hot notes. The port channel, West side, on 14 August , fishermen preparing with the catch of the day, a huge charity barbecue. A moment of fun and party with dancing and music folklore tradition.